Readers of this site familiar with Gary Franklin, no doubt recall that Gary served in the Korean War as a combat cameraman and photographer. Many of Gary's most amazing photographs come from the war, including an excellent photograph of President-Elect Eisenhower visiting the troops in December of 1952. 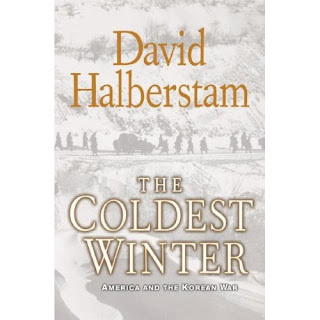 The last email exchange I had with Gary just days before his passing, was about David Halberstam's last book, "The Coldest Winter: America and the Korean War". Gary said he was going to check it out. I know I'm going to read it. Gary always wanted people to pay attention to the lessons of history. And the history of the Korean war was very important to him. The sacrifice and service of veterans like him is certainly something we should pay attention to and honor.